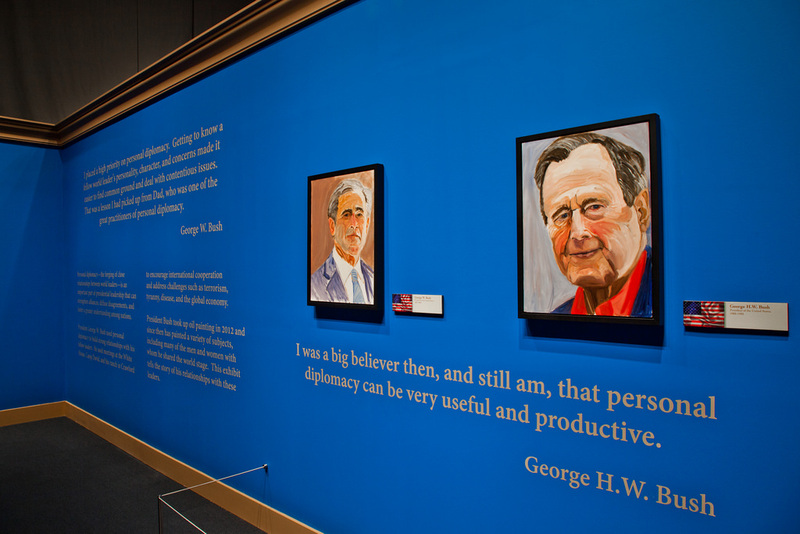 George W. Bush: "Never paint your wife or your mother"
Former President George W. Bush, who has taken up painting as his main hobby since leaving office in 2009, has some tips for aspiring painters: "Never paint your wife or your mother." Apparently neither woman was especially pleased with their portrayal by Mr. Bush's brush, he said in an interview on CNN's "State of the Union" Sunday. It turns out he might want to make that a blanket statement about all of the women in his life. The former president mentioned that he had also painted one of his daughters, but she didn't like the painting "so I just scrapped it." He added a minute later, "I may have saved it, although they probably think I destroyed it." "Don't tell anybody," he made host Candy Crowley promise. He said he did paint his mother's dogs, and "it was fun to paint something for somebody you care about." He also painted a garden scene and some other things, and said his mother "likes it and appreciates it." Painting his father, on the other hand, he described as "nice." Mr. Bush said he enjoys the sense of purpose he gets from the newfound hobby. "The idea of I'm driven to be as good as I can be, you know, and I'm, a task-oriented person, and every painting is a task in a sense. I get excitement out of painting because I'm beginning to learn -- when I first started painting I was like, you know, trying to be like a Polaroid camera," he said. "I'm learning, and how to work colors to get to a different feel." "I don't drink anymore. I guess if I were a drinker I'd be there at night drinking away, but now I'm painting away," he added.